Purchasing new flooring for your home is one of the easiest and most affordable ways to upgrade the appeal and value of your property. However, installing a new floor takes a great deal of precision and skill to lay everything into place correctly. Many homeowners attempt to install their new floors themselves in an effort to save money. However, without professional assistance, you could inadvertently void the manufacturer’s warranty or install your selection poorly, leaving you with less-than-satisfactory results. As your dedicated flooring resource, our professionals help you select the ideal choice for your project and lay your selection perfectly into place in your home. Avoid the consequences of a poor installation when you turn our full-service professionals for floor installation in San Marcos, CA. When it comes to the success of your flooring project, the quality of your floors isn’t the only factor at play. The quality of the installation goes a long way toward maximizing your results. Make an in-store purchase with confidence and protect your home investment by taking advantage of our professional flooring installation services. At our full-service flooring store, we treat your home and project with the utmost respect. We approach each installation with caution and due diligence to ensure that no mistakes that could diminish the quality of your new flooring are made. 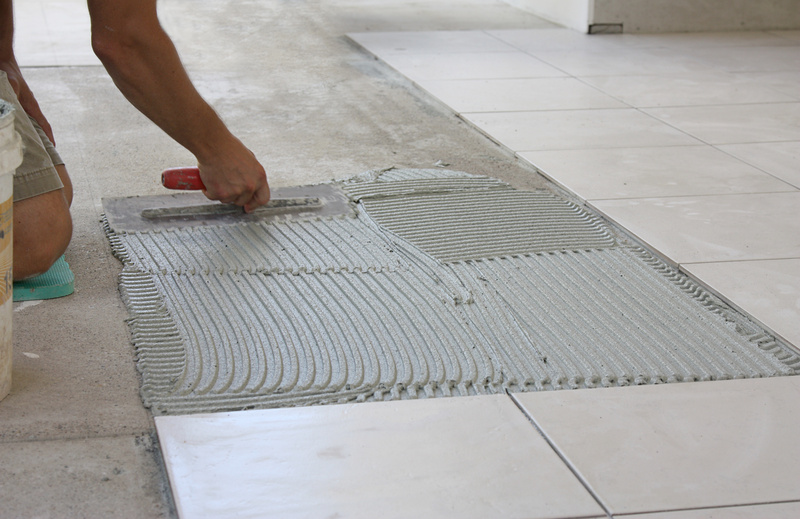 Regardless of the flooring you wish to add, our skilled and experienced installation team has the skills and equipment needed lay your selection into place properly. Whether you’ve chosen to add new carpeting, hardwood, tile, laminate, or something else, our knowledgeable crew knows exactly how to install your new flooring according to the industry’s best practices. Our floor installation team starts by carefully removing your old flooring, leaving a clean, level, dry, subfloor to work with. Afterwards, we take the proper measurements and follow manufacturer instructions to ensure your new piece is placed perfectly. By ensuring your selected is fitted properly to the floor, we help maximize the beauty and lifespan of the product. Once we’ve finished, you’ll have a stunning new floor covering that blends seamlessly into your overall interior design and meets the practical needs of your household as well. When you shop with us, we make it our mission to ensure you are completely satisfied with your investment. With this in mind, we’re proud to offer several floor installation specials to our in-store customers. When you visit our expansive showroom and mention one of our online ads, we’ll gladly take 25% off of your total charge. In addition, we offer a number of exclusive guarantees to give you complete confidence in floor installation. Our Ultimate Confidence Guarantee promises that if you aren’t totally satisfied with one of our select 4 or 5-star rated floors within 30 days of your purchase, we will replace your selection at no additional cost. We also offer a Price Protection Guarantee that stipulates that if your find a lower price on the same brand and style of flooring product elsewhere within 30 days of your purchase, we’ll happily refund you the difference. Count on our specialists for an exceptional floor installation. We have the utmost confidence that our top-notch workmanship and unmatched customer service will earn your complete satisfaction. That’s why we also offer a Lifetime Installation Guarantee, which states that if there are ever any installation-related issues we’ll make them right for the lifetime of the floors at no cost to you. No matter what your needs, our helpful flooring specialists are here for you every step of the way. Contact us for more information about our installation specials. We proudly serve customers in San Marcos, Carlsbad, Escondido, and Oceanside, California.